Wondering how to help refugees? We have been. Here’s one big idea. For every dollar that Meridian readers donate to help in the cause described below, DoTERRA will match dollar for dollar. There are political refugees, driven from their homes by tyrants. Then there are other kinds of refugees, driven from their homes by physical disaster as walls topple in and roofs collapse. Neither can survive well unless someone steps into help as our leaders have noted in the most recent General Conference. Meridian Cares in partnership with doTERRA and CHOICE Humanitarian are offering you one of those opportunities. We’ve just passed the year anniversary of the furious 7.8 magnitude earthquake that struck Nepal, killing 30,000 people and leaving hundreds of thousands homeless. That was followed by hundreds of aftershocks including a major temblor on May 12, 2015 along the same fault line. Avalanches barreled down Everest making it the deadliest disaster ever on the mountain. Kathmandu’s treasures were demolished. Any hope of recovery before the June monsoons pelted the land was impossible. People were huddled, homeless, against the weather extremes. This would be a difficult recovery in a developed nation, but for a place like Nepal, recovery seems almost impossible. To make it worse, in a fit of political gamesmanship, India placed an embargo on all the fuel they send to Nepal, so transportation came to a halt in the country for five months, including the air transport of humanitarian groups. With the border closed to India, everything was blockaded including medicine. So, a year later, with the attention of the world turned away, life in Nepal is still very tough and the government has made almost no progress in providing relief. Bishnu Adhikari, who was featured in Meet the Mormons, said, “It is to unfortunate that nothing concrete has been done by the government. Except for what CHOICE and a few other NGOs have been able to do, I hear of no houses or schools being built. Some people are going back to live in homes that are tagged as “Not Safe” because they believe they have no recourse. People huddle in badly cracked, unstable buildings. Though they have been told that they will be moved to a newer, safer area, tent cities abound. In contrast, CHOICE, with Meridian readers’ generous help, provided tents or tarps for 20,000 families, provided 73,000 meals, built 50 private, earthquake-resistant homes for the widowed and single mothers, and now have finished two schools. This is the first school completed in Nepal since the earthquake and it was built by CHOICE Humanitarian. This is the day of the Archelani School Inauguration–truly something to be celebrated. This just happened last week. One of these schools was just dedicated where 400 students will attend. This is a triumph, but so much more needs to be done. Click here to jump right in and help now. Why is it that a major disaster like this struck one of the poorest countries on earth? How do the victims get help after the dramatic event has left the news headlines across the world, the rest of us have gone on and forgotten, and they are left unsheltered with a broken country? We, from the comfort of our secure homes, say, “Too bad that happened” and then go on without much more thought. The disruption of an earthquake leaves more devastation in its wake than can be calculated. In the days immediately following the earthquake, buses rolled into the demolished mountain villages, with men promising to take the children away to other schools that had not been wrecked by the earthquake. In fact, these buses were instigated by traffickers, who took the children to exploit them in brothels or as forced labor and other forms of servitude, never to see their families again. According to the International Labor Organization 12,000 women and children are trafficked to the Middle East and India every year—and this number only balloons after a disaster. It is hard to imagine a ten-year-old girl whisked away to a brothel under a devious pretense, but that happened. I want to help in this effort. Click here. One 79-year-old woman, Prem Kumari Prajuli, was so worried about the destruction of her village school and the setback for the children’s learning, she made a breathtaking sacrifice. She had spent a lifetime yearning for an education. She had struggled just to decipher letters to read and write, but she always thought if she had been able to go to school, things would have been different for her. She had been married at age 11 to a 12-year-old and the next year her husband died. For 67 years she has been a widow, knowing that life would have been much different if she had lived in a world where child marriage had been outlawed and she could have gone to school. This humble widow, Prem Kumari Prajuli, gave all that she had to assure a new generation an opportunity for what she never was able to have–an education. To help the children, she sold her inherited agricultural land for $2,500 dollars to donate for the construction of a school. For someone who has spent all of her life in someone else’s home, to sell her only land was a profound sacrifice, made in the hope that other children won’t experience what she has known. She was asked to lay the cornerstone for the Sharada Secondary School, knowing the girls who attend school there will have a very different life than she has had. Join widow Prem Kumari Prajuli by donating here. The reason CHOICE was able to respond with such power to the earthquake devastation in Nepal was because the organization, with Meridian as a contributing partner, was already working in the country on a program called Nepal Life. We were already working on a three-year poverty elimination program when the earth shook. The goal of this program is to eliminate poverty in the entire Lamjung region of Nepal. Nepal is one of the poorest nations on earth, but extreme poverty is its own level of misery. Poverty means, that a person is living on less than $1.50 a day, they don’t have adequate health care or shelter, their kitchen is filled with smoke from an open fire so they die young, their children can’t go to school, and they awaken each morning not knowing where they will find food so they often go hungry. To eliminate poverty—rather than just cope with it—involves the leadership training of the entire community. It means people have been taught to be involved civically to vote for people they trust. It means village government is at work and loan co-ops are in place so that villagers can borrow money without becoming slaves to usurers. It means people are taught how to arise and solve their own problems—which they can and do. Of the more than 2700 families identified as extremely poor in the 20 villages in the Lamjung region where CHOICE works, more than 850 families have been lifted out of extreme poverty since this program began two years ago. Poverty is difficult to overcome—even when money is thrown at it with the best of intentions. 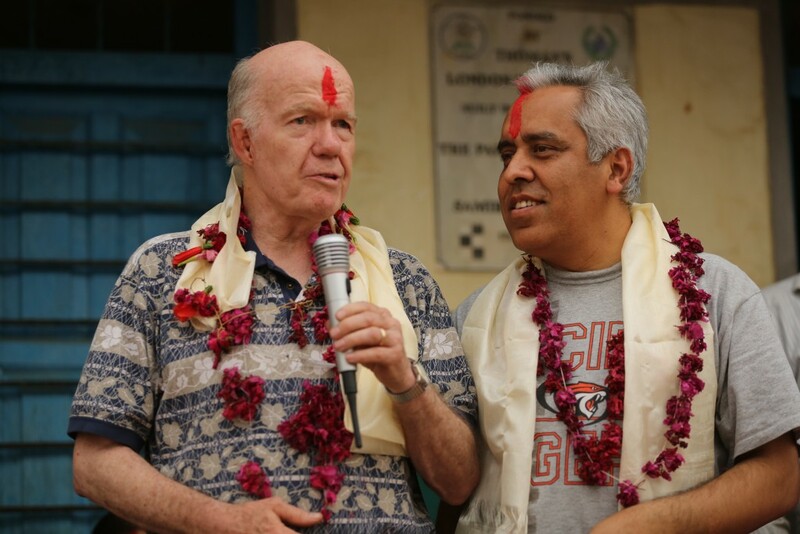 The Nepal Life program is based on the soundest principles of poverty elimination formulated by Dr. James Mayfield after 50 years of work in the field. He has developed the philosophy and method to completely change people’s lives. We were immersed in that work when the temblor came with its demanding voice and turned our attention to immediate relief in the region a year ago. It was CHOICE’s chance to evaluate if there was a marked difference between the villages. Would those villages with Nepal Life workers and training be able to help themselves through an earthquake in a markedly different way than those villages where CHOICE had not been working? The answer, according to Bishnu, is a resounding yes. “Where we have worked the people know how to mobilize their resources for permanent solutions to their problems. “The 1400 leaders we have trained in these villages bring new ideas to cope with the disaster they have found themselves in. Three things stand out,” he said. 2) They have a planning mentality and know how to handle situations. 3) They look beyond themselves, beyond their own problems to support those around them. What a mark of success that where there has been CHOICE training and work on poverty elimination, the people have been able to cope so much more successfully with the earthquake disaster. For two years now, Meridian readers have played a key role in funding Nepal Life. Last year our focus shifted to the earthquake relief, using the same sound principles. Helping people is important, but how you help them may be even more important. What CHOICE is doing works—even when people’s lives have been devastated in an earthquake. This is not just short-term help, but lifelong change. Click here to be one who changes lives. If you helped before, help again. It must feel great to know that you sent tents to the homeless, provided meals, and built schools. If you’ve never helped before, this is a great time to begin. Your dollars really matter. Small donations and big ones change the lives of people. Last year for the earthquake Team Meridian raised more than $60,000. Now, this year, doTERRA, the people who make essential oils, will match us dollar for dollar in the cause up to $100,000! That is like empowering your dollars and doubling their strength. It’s like supercharging your dollars. You can chart how Meridian readers are doing on our fund-raising. Let’s make those dollars grow together. If only 400 people gave $250 each, we could achieve our goal and we would then be matched to create $200,000 of relief money. If 800 readers contributed $125 each we could achieve this. Will you join us? Not one dollar will go to Meridian. Together, we can do it. 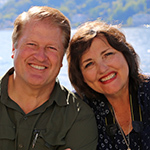 Maurine and Scot Proctor will be taking a group to Nepal to work on earthquake relief from November 4-12. We will be doing post-earthquake reconstruction in Lamjung, Nepal (7 hours outside of Kathmandu.) We will be rebuilding and refurbishing one of the 4,400 schools that were decimated in the earthquake. If you’d like to join, click here to learn more about it. Where does one actually get busy helping on the ground, rather than just sending money? Those who have time and talent are reduced to just making financial contributions?